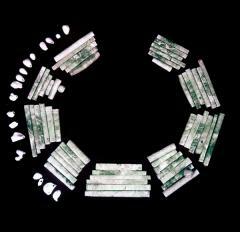 Results 1 - 2 of 2 for "bead"
Caption: Miscellaneous jade beads and scraped spondylus shell, probably all from Burial 23.
Credit: William R. Coe, University of Pennsylvania Tikal Project Negative C62-4-70, All rights reserved. University of Pennsylvania Museum. 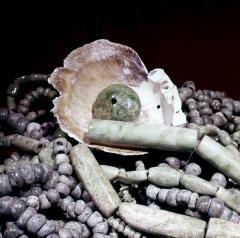 Caption: Jade bead and pearl necklace from Burial 116; Object 4P-20. 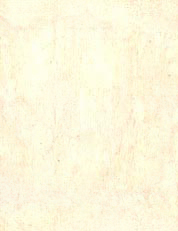 Credit: William R. Coe, University of Pennsylvania Tikal Project Negative C63-4-76, All rights reserved. University of Pennsylvania Museum.